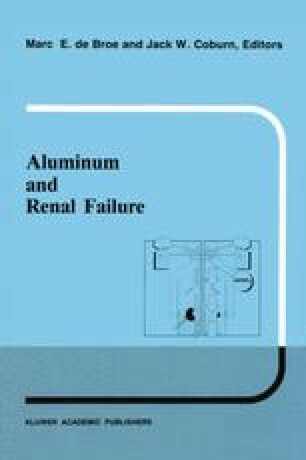 The clinical hallmarks of aluminum intoxication in chronic hemodialysis patients are encephalopathy and osteopathy including osteomalacia and aplastic bone disease. Besides these, other complications have been observed such as microcytic anemia, joint pain and severe infections. In the following, we shall describe these more inconstant complications.